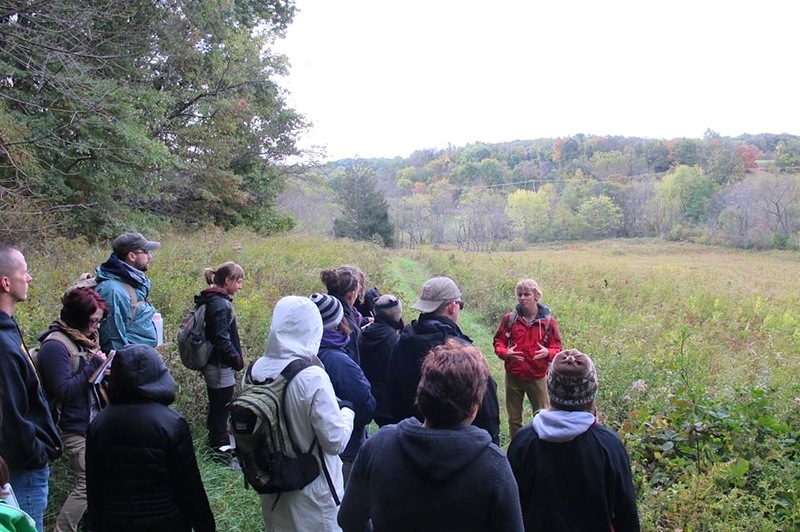 I lead wild edible food walks, workshops, classes, and private lessons in Western Pennsylvania, including Pittsburgh and the surrounding regions. Please check out Foraging Pittsburgh for more information! Pigweed is a wonderful green that is loaded with vits & minerals and killed off by farmers all over the U.S. Learn to I.D. this ‘weed’ and eat it. It’s great and has a faint lemon taste. I’m in Louisiana and eat it all the time. My acreage (40) is for hay, but pigweed grows all over my farm and I use no chemicals here. Do you come as far east as Waynesboro? If you don’t mind, shoot me an email (listed on the Contact) page, and I’ll let you know what I can do for you! Thank you. I just clicked on the reply button of this page to make contact. I would like to shoot you a photo of a plant taken in bog I visited in Wisconsin to verify the species. I believed it was wild cranberry but am less certain after viewing the images on your sight. Is this possible? Are you interested in growing wild edible and medicinal plants, or those native to other countries? Shoot me an email: adamharitan@gmail.com and I’ll help you to the best of my ability. Thank you! Cannot come from WI. Do you have online info. I’m unable to travel very far . Do you ever come to Ten. Just did a private foraging walk lead by Adam and was with my daughter, and best friends family. All 5 of us had an awesome experience! Can’t wait for a fall walk to see what is available for us during a different season here in Western PA. Adam is the bomdiggity when it comes to this subject matter. See you in a few months! I want to tell you how wonderful you are to share your knowledge. I enjoy your videos. You have the most excitable energy ! Hi I found some Reishi mushroom, I believe, at my backyard. Can you tell me if they are reishi mushroom? Thanks so much. I am a licensed acupuncturist and Chinese medicine herbalist in New Jersey. Nice to find Chinese medicinal herb grow in the wild in America. I grew up and still live near the Blue Ridge / Bull Run Mountain in Haymarket, VA. Tapping into your educational videos for a year now. I’m overwhelmed with joy. I’m 61 and can’t get enough of rediscovering the woods I grew up in. I walk slower, observing everything, listening, inhaling the aroma of the earth, and to me it’s much like a hug from her, the sense that I am where I’m supposed to be. My kids all grown now, are convinced I’m not normal…thank goodness. Thank you Adam for your patience and openness to share your knowledge and wisdom with us all.